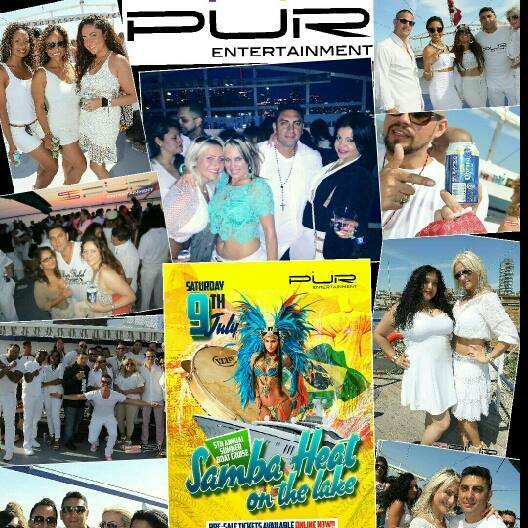 PÜR Entertainment will be hosting their 5th Annual Boat Cruise!! We are inviting the Latin community in Toronto and surrounding GTA area, all our friends and supporters to come and party with us in style this summer!!! 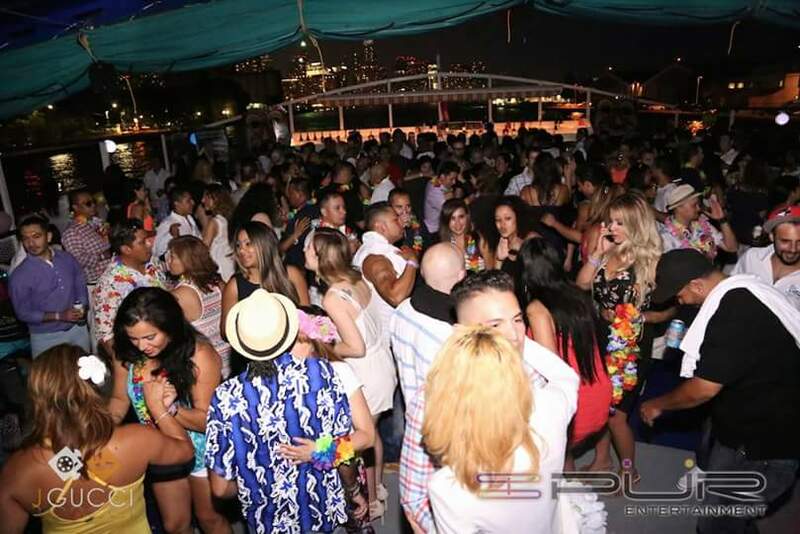 We will be giving away lots of prizes, (over $1,000.00) aboard the fabulous and renovated.. 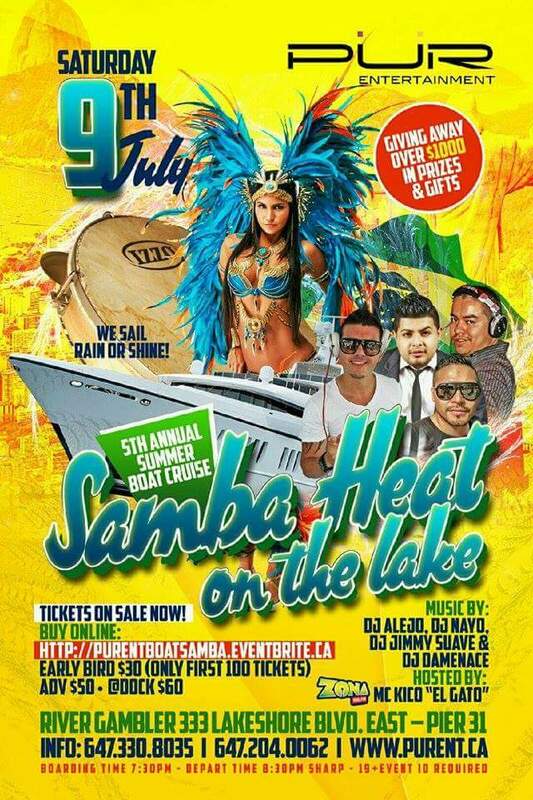 THE HOTTEST BOAT CRUISE OF THE SUMMER!! TICKETS: $50 ADVANCE / $60 AT THE DOCK. or BEFORE THEY SELL OUT!!! GET YOUR TIX OR BOOK YOUR PARTY NOW!! ROYALTY STONE INC, MARCELO DELGADO, TYLER PYNE (Remax Edge), Charton Hobbs, Belvedere Vodka, Universal Music, Tremendo Sonido Productions, VIDA.TO, 360FM.ca, torontohispano.com, KBuena Radio.tv, Tropical 88.3 FM, ZONA 105.FM , Autos Y Casas, & EnTorontoCanada.com !! WE SAIL - RAIN OR SHINE!!! !